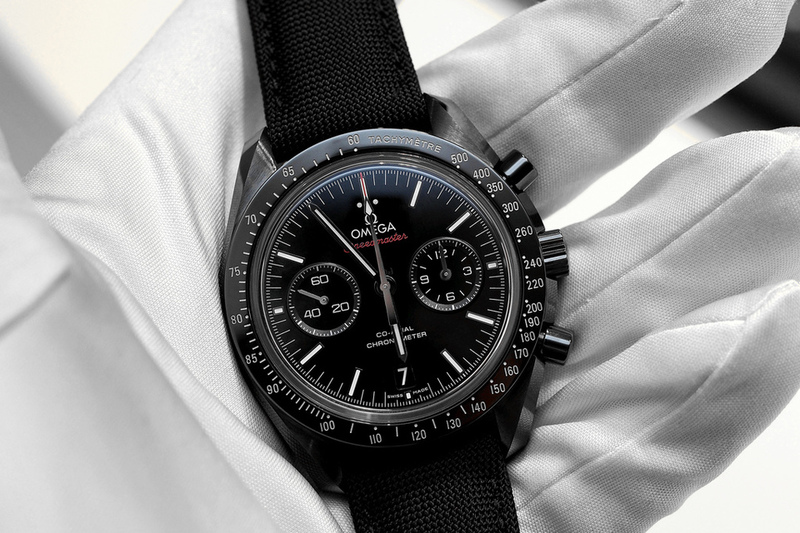 This is a hands-on look at one of the hottest pieces introduced at Baselworld this year, the Omega Speedmaster “Dark Side Of The Moon.” It is the first time Omega has offered the Speedmaster in a black case. According to Omega, many years back they considered producing a case with a black PVD treatment, but with even the slightest chance that it might scratch, that just wasn’t good enough. And so instead, they eventually decided to develop their own in-house black ceramic case. A solution far superior to coating steel or titanium with a hard black coating such as Physical Vapor Deposition (PVD) or Diamond Like Carbon (DLC). The result, is the most technically advanced ceramic case on the market. It is a single mono-block ceramic case, meaning the middle case is cut from one block of ceramic. The 44.25 mm black case features a perfect combination of polished and brushed surfaces on the case flanks and lugs. 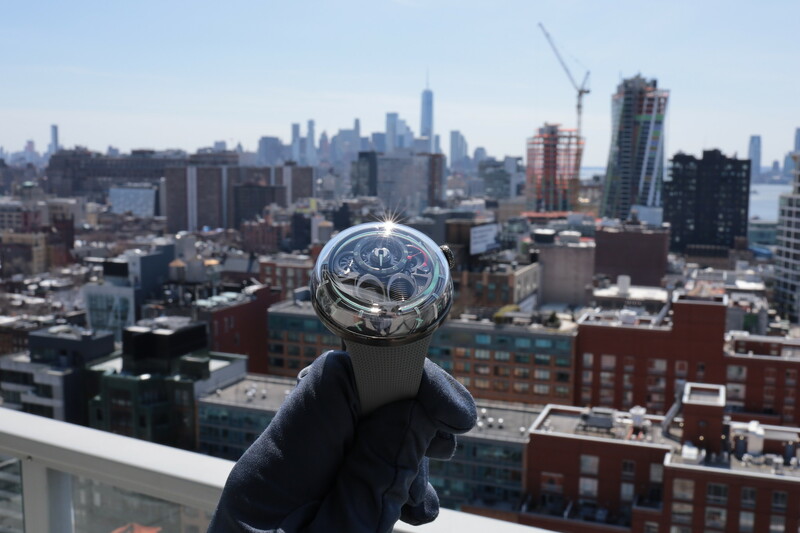 The bezel is polished ceramic with a matte chromium nitrie tachymeter scale. The chronograph pushers are in polished black ceramic. The case back is in polished ceramic, with the engraving “DARK SIDE OF THE MOON” above the bevelled scratch-resistant sapphire crystal. Even the dial is ceramic, specifically a black zirconium oxide ceramic. The dial features 18K applied white gold indexes, which perfectly stand out against the black background. 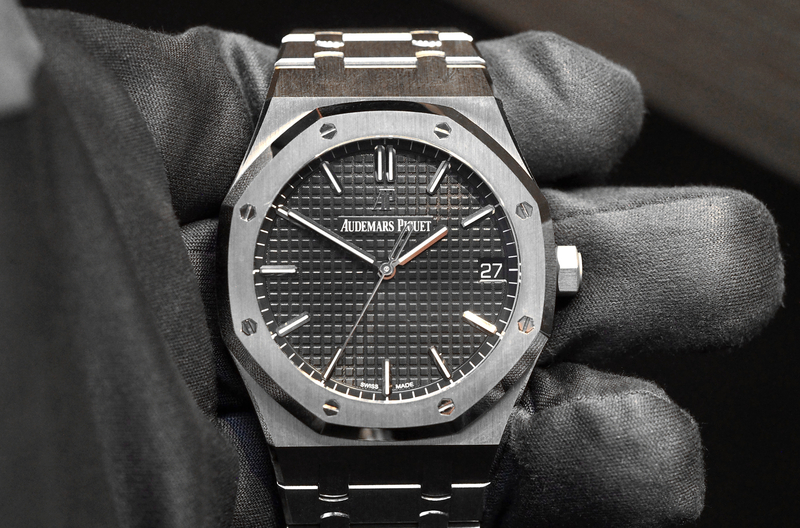 A sub-dial at 9-o’clock displays small seconds. And the sub-dial at 3 o’clock counts chronograph hours and minutes, all on one dial. A date aperture is at 6 o’clock. 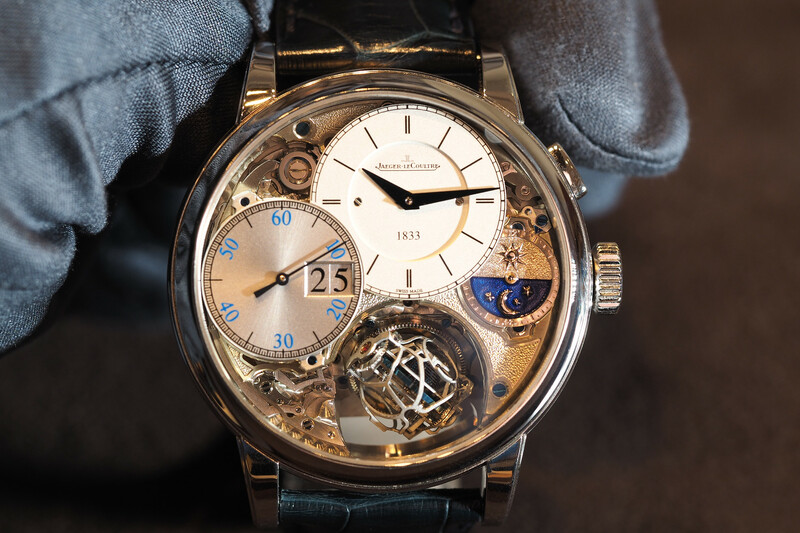 The hour and minute hands are in 18K white gold, as are the sub-dial hands. The central chronograph second hand is rhodium-plated and features a red tip for increased visibility. The two dots at 12 o’clock, as well as the hour, minute and chronograph hands are treated with luminous paint. Protecting the dial is a box-type sapphire crystal with glareproofing on both sides. The Dark Side of the Moon is presented on a superbly comfortable black Cordura fabric strap with a black leather lining, red contrast stitching and a black ceramic buckle. Powering this exquisite timepiece is an advanced in-house automatic movement, Co-Axial caliber 9300, equipped with a Si14 silicon balance spring which is designed for enhanced durability and accuracy. At $12,000 this Speedmaster is not cheap, and while you can get other ceramic timepieces of good quality for less, none are as advanced. From the case, to the case back, to the pushers, to the dial, to the movement, and even the buckle — this is the most advanced ceramic watch ever made.